What is Couples+? If an individual is 1 and couple is 2 then couples+ is 3 and beyond. Many people have begun the process of establishing intimate relationships beyond the standard narrative of two. Like anything else, relationships are negotiated and can be structured in a wide variety of ways. Union Therapy has experience in helping people establish and maintain non-traditional relationship styles (Open, Poly, Kink, etc.). No single form of relational structure works for everyone. We desire to help you negotiate and establish relationships that work for you and your partner(s). 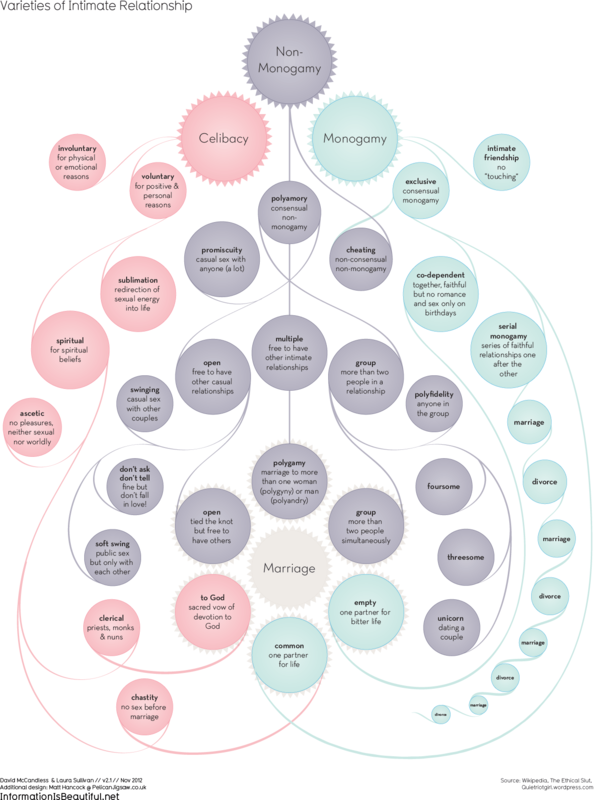 Here is a very helpful diagram from Information is Beautiful.